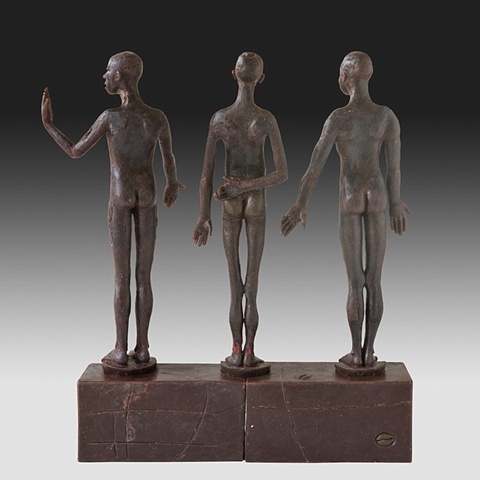 As one event unfolded in our world I choose to model three figures that represent those caught in the issues of war. The event was the war in Iraq. 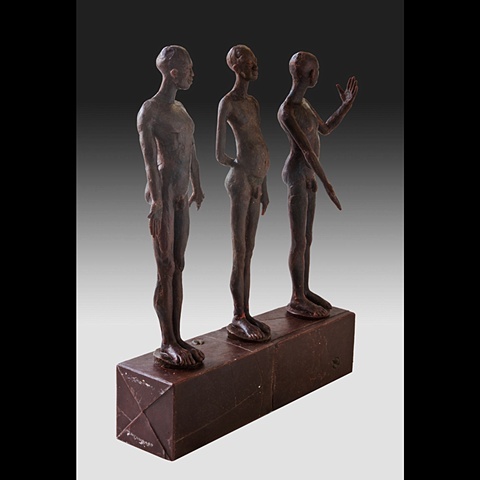 The gestures, crossed fingers, and poses of the figures, a hand on a hip, are meant to symbolize thoughts and actions that are common to all of us. I want my viewers to reflect on their own thoughts. 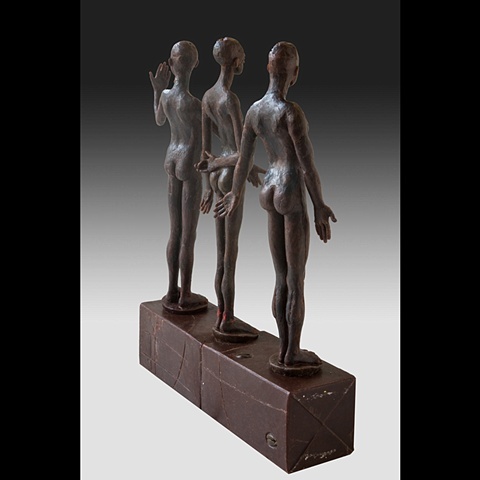 The postures of my bronze figures convey thought, mood and character. One such pose is that of a person who documents the events of our times. They alternate between being nurturing and open and being closed and secretive. No matter what stance they take; I want them to remain sensuous, balanced and graceful. The underlying philosophy of my work reflects the transitory nature of life; we rebuild and destroy all in the same breath. The integrity of the human spirit holds forth in a world that both rebuilds and destroys itself in the same breath. The postures of the the figures reflect this gulf between the reborn and the extinguished. This underlying philosophy -- the transitory nature of life -- undergirds the reflective work of myself as an artist. 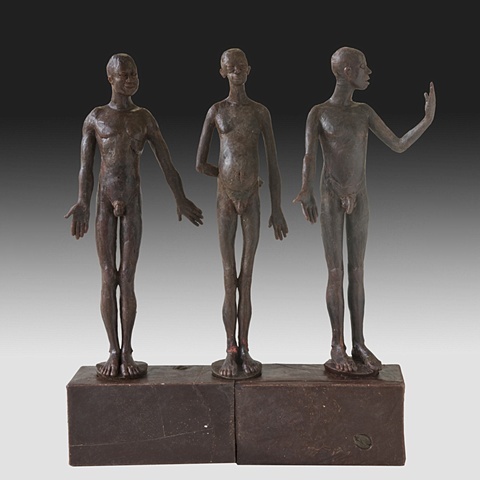 The postures of my bronze figures convey thought, mood and character. They alternate between being nurturing and open and being closed and reflective. No matter what stance they take they remain sensuous, balanced and graceful. 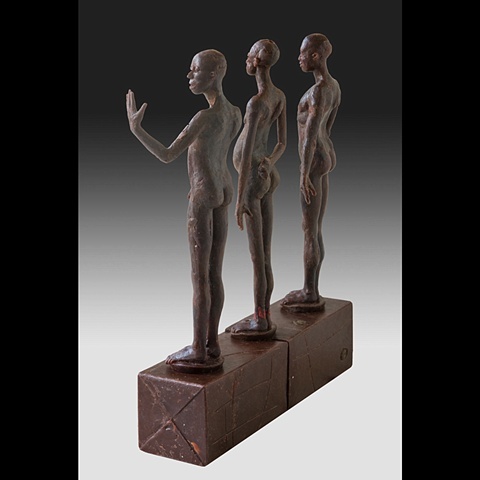 My figures capture moments in space and time, as an artist I want to enable viewers to contemplate their own reflective thoughts. 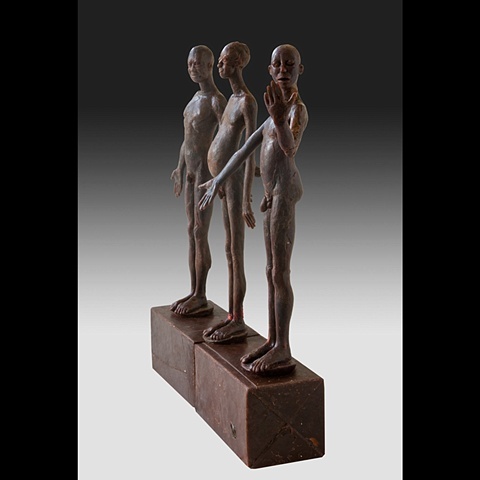 I believe my figures bridge the breach between the world of external reality and the inner world of the psyche.